The Screech Owls’ journey to Vancouver had begun as an innocent hockey road trip. They had come to play in the new “3-on-3” shinny tournament. But when the team headed out to sea to watch the first whales of the season return to the West Coast, the dream trip turned into a horrifying adventure. Two bodies – one a dolphin, one a man – bobbing in the tide. And when Nish stared down at the floating, twisting body of the man and announced “We know him!” the Screech Owls also knew they were in the middle of a baffling mystery. Slowly, the truth begins to emerge: an international smuggling operation, a heroic dolphin, and a wildly brilliant plan. The Screech Owls are almost enjoying themselves, until they discover their own lives are in danger! 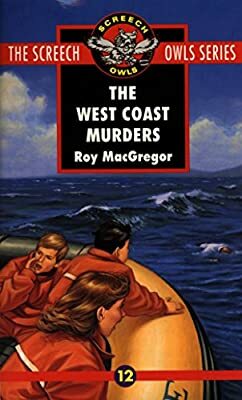 The West Coast Murders is the twelfth book in the Screech Owls Series.